For years, U.S. government officials have been trying to provide firms with actionable threat data in time for corporate officials to block hackers from compromising their networks. The 2015 Cybersecurity Information Sharing Act (CISA) gave firms legal cover to provide threat data to the government; the Department of Homeland Security rolled out an automated threat-sharing program in 2016; and Republican and Democratic administrations have preached the information-sharing gospel at conferences across the country. But today, amid consistent nation-state cyberthreats to U.S. companies, there is a growing consensus in Congress and in the private sector that these federal efforts are falling way short of expectations and needs. Two years after DHS established its Automated Indicator Sharing (AIS) program, just six non-federal organizations are using it to share threat indicators with the government, a DHS official told CyberScoop. 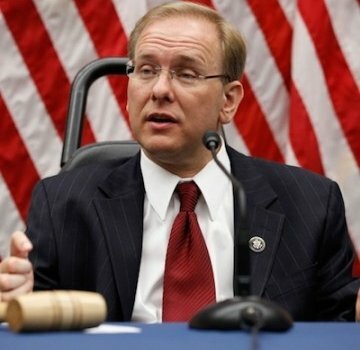 “That’s unacceptable and it surely doesn’t reach the threshold I hoped it was going to achieve,” Rep. Jim Langevin, D-R.I., told CyberScoop. In an interview, Langevin reflected on the shortcomings of AIS and the legislation that paved the way for it. “Clearly, CISA has not yet reached the full potential that I and many others had hoped it would,” Langevin said. That simply hasn’t happened yet. Langevin said he was still hopeful that the information-sharing regime could be significantly improved. But given that it took years of horse-trading to get CISA passed, it is an open question whether the problem can be solved through more legislation. A spokesperson for Rep. Dutch Ruppersberger, D-Md., anotherclose follower of AIS, said the congressman wants DHS to brief House appropriators on how the department will get more companies to share threat data through the program. DHS officials have echoed that point. “Our shared success and security is dependent on the continued voluntary participation of private sectors,” Jeanette Manfra, DHS’s top cybersecurity official, told CyberScoop recently. Manfra has said the department plans to update AIS this year to include automated feedback from customers on what they are doing with the threat data. AIS is not the only information-sharing game in town – it is simply DHS’s effort to do it at machine speed. The current struggles notwithstanding, Chris Cummiskey, a former DHS official and current cybersecurity consultant, said the department has come a long way in its threat-sharing efforts. “Only in the last several years has the department been in the position to collect the kind of [threat] data that would be usable” by the private sector, he told CyberScoop. DHS’s ability to pass the data along is maturing, he added, through the growth of its 24/7 watch center known as the National Cybersecurity and Communications Integration Center. And while the amount of private-sector data going to the government through AIS is not flattering, much more information appears to be flowing in the other direction. More than 260 federal and non-federal entities, and 11 international computer emergency response teams are connected to AIS, according to DHS. There are also increasingly robust information-sharing efforts outside of government. The nonprofit Cyber Threat Alliance (CTA) for example, disseminates threat information to its corporate members, which include Cisco and Symantec. Ahead of the announcement last month that alleged Russian hackers had assembled a massive botnet targeting 500,000 routers, Cisco was able to share malware samples so that CTA members could respond to the threat, according to Neil Jenkins, CTA’s chief analytic officer. By the time Cisco’s threat intelligence unit published a blog on the botnet, many CTA members had already applied protections against the threat, Jenkins told CyberScoop. Such private initiatives are encouraging, observers say, but the one thing they can’t generate is classified threat intelligence. Industry executives want the government to get that classified data into the hands of more corporate officials — and to declassify it more quickly to reach a wider private-sector audience. Some executives are mystified as to why the U.S. government — the gatekeeper of untold volumes of digital footprints — apparently still struggles to provide timely information that companies can’t get from a private cybersecurity service. “I don’t have an answer as to why it’s so difficult to get context sometimes” with government-provided threat data, Sarah Urbanowicz, chief information security officer for engineering firm AECOM, told CyberScoop. The “context” that Urbanowicz and many other executives seek might include qualitative analysis to complement the technical details provided on hackers. But that context is often at odds with demands for getting information a machine speed. Scott Goodhart, chief information security officer of power firm AES Corp., called for a frank discussion with the government on the challenges it faces in pushing threat information out. “If you know there’s a Chinese threat coming in or something, I don’t care what technique or method they use necessarily to get in, tell me the information so I can feed my systems and block it,” Goodhart told CyberScoop. PROVIDENCE, R.I. — The threatening clouds outside mirrored the tense and determined atmosphere at AFL-CIO headquarters Wednesday afternoon, as about a dozen labor unions turned out in reaction to the U.S. Supreme Court’s ruling that government workers can’t be forced to pay union fees. “We have received very quickly, very strong support from our congressional delegation and Governor Raimondo,” George Nee, president of the Rhode Island chapter of the AFL-CIO, said at the news conference. “When you’re in a fight, it’s good to know you have friends. Reaction to Wednesday’s Supreme Court decision split along ideological lines in Rhode Island, with liberals calling it an attack on organized labor and conservatives hailing it as a victory for free speech. The court, in a 5-4 vote, ruled that non-union public-sector employees are not required to pay certain union fees, even though they benefit from collective bargaining. The case, Janus v. American Federation of State, County and Municipal Employees Council 31, found that requiring non-union workers to pay fees violates their freedom of speech. She said her team will review this ruling and, if any changes are required, her administration will make them at the bargaining table. R.I. Attorney General Peter Kilmartin, who in January filed an amicus brief urging the U.S. Supreme Court to uphold a Seventh Circuit decision protecting “fair share” provisions in public-sector collective bargaining agreements, likewise expressed his disappointment in Wednesday’s ruling. “It will curtail the ability for public employees to obtain fair wages and benefits. These workers are our neighbors, our teachers, police officers and firefighters, all of whom work hard each day serving our communities and contributing to our quality of life,” Kilmartin said in a news release. No one knows what the impact on unions will be or how fast the effects will be felt. But such a ruling could have a crippling effect on union revenues, according to the Education Writers Association. The National Education Association, the nation’s largest teachers’ union, could face a potential loss of 307,000 members over two years, according to analyst Mike Antonucci, a frequent union critic, cited in the EWA article. But the Rhode Island Center for Freedom & Prosperity, a conservative research and advocacy group, said the ruling grants workplace freedom to public employees. “We expected this,” said Nee. “I don’t see this as a weakening at all. “Today is a shameful day in our history, but justice will ultimately prevail. In the meantime, the ACLU of RI will continue to fight for the rights of all in the face of the Trump Administration’s discriminatory and xenophobic actions. As the ACLU’s lawsuit on behalf of RI resident Lilian Calderon demonstrates, these actions affect real people in very concrete and devastating ways. We encourage all Rhode Islanders to speak out and join with us in continuing to fight these attacks on our basic rights and freedoms. WASHINGTON – U.S. Representatives Jim Langevin (D-RI), Bennie Thompson (D-MS), and Peter King (R-NY) have introduced legislation that would create an advisory committee to improve U.S. emergency preparedness for people with disabilities. This bill would require the Secretary of Health and Human Services to establish a 25-member National Advisory Committee on Individuals with Disabilities in All-Hazards Emergencies comprised of federal and local officials with expertise in disability-related policy and at least four individuals with disabilities that have substantial experience in disability inclusive emergency management. The advisory committee would be charged with evaluating existing policy and providing recommendations to ensure the coordination of care for those with disabilities during disasters. Today, Senators Jack Reed (D-RI) and Sheldon Whitehouse (D-RI) and Congressmen Jim Langevin (D-RI) and David Cicilline (D-RI) announced in a press release a substantial increase in federal funding has been made available for Rhode Island’s fight against opioid addiction. According to a press release issues on Tuesday, Rhode Island’s share from a grant program at the Substance Abuse and Mental Health Services Administration (SAMHSA) will rise from $2.1 million last year to $12.55 million as a result of the Consolidated Appropriations Act of 2018, also known as the Omnibus Appropriations law. All four members of the delegation voted for the Omnibus, which included a $3.3 billion boost this year for opioid funding, with $142 million set aside specifically for states with the highest mortality rates from overdoses. According to the U.S. Centers for Disease Control and Prevention, Rhode Island had the ninth highest drug overdose death rate of any state in the nation in 2016. “In Rhode Island, we face one of the highest rates of opioid deaths in the country. The federal government has now taken that into account in providing resources for those on the front lines of this crisis. That’s why I was proud to join my colleagues in the delegation to push for this change and deliver this increased funding for our opioid fight,” said Senator Whitehouse in the release, who co-authored the landmark bipartisan Comprehensive Addiction and Recovery Act (CARA), the sweeping legislation guiding the federal response to the opioid epidemic, which was signed into law in 2016. The funding comes via SAMSHA’s State Opioid Response Grants program, which will help states increase access to medication-assisted treatment and reduce opioid overdose related deaths through the provision of prevention, treatment, and recovery activities for those battling opioid addiction. According to the Rhode Island Department of Health, 323 Rhode Islanders died of accidental drug overdoses in 2017. Jim Langevin is set to launch his re-election campaign for Congress in pursuit of his 10th term. “It has been a privilege to represent the 2nd Congressional District since 2001, and I want to thank my fellow Rhode Islanders for their steadfast support and for allowing me to serve in a position that I love and I’m honored to hold. There is still much work to be done in order to keep our country moving in the right direction, and I hope voters will continue to put their faith in me to represent their best interests in Washington. I’m proud to be declaring my candidacy, and I look forward to continuing to work toward finding solutions to our nation’s most pressing challenges,” said Langevin. 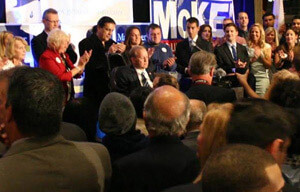 Langevin will launch his campaign on Monday, June 25 at the Rhode Island Secretary of State Elections Division on W. River Street in Providence. He will file his Declaration of Candidacy at 10 a.m.
Langevin started his career in public service in 1986 when he was elected to the state’s Constitutional Convention. He later served as a Warwick State Representative and was then elected Secretary of State. Langevin was elected to the United States Congress in 2000, and currently serves as a senior member of both the House Armed Services and Homeland Security Committees. 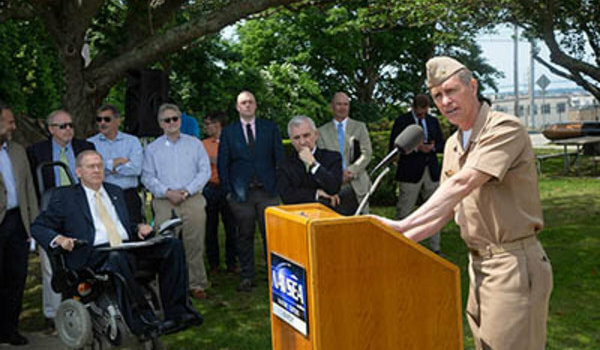 For more information on the award, visit www.underseatech.org or email undersea@underseatech.org. Congressman Jim Langevin (D-RI) today introduced bipartisan legislation to protect adopted children from being “rehomed.” The bill was introduced following a roundtable discussion on adoption permanency, which Langevin hosted at Adoption Rhode Island with child welfare advocates and adoptive families last week. Congressman Tom Marino (R-PA) joined Langevin in introducing the bill. The Safe Home Act would close a loophole in existing federal law by clarifying that the abandonment of an adopted child with a stranger, known as rehoming, is a form of child abuse. Reuters brought national attention to rehoming in 2013, when it published an investigative series on adoptive parents who use Internet forums to advertise children they wish to abandon. Transferring custody outside of legal adoption practices often places children at risk for neglect, exploitation, or even sexual abuse. However, state child welfare authorities have reported that they are unsure whether they can investigate rehoming cases because rehoming is not explicitly defined as a form of child abuse. The Safe Home Act adds rehoming to the federal definition of child abuse and neglect under the Child Abuse Prevention and Treatment Act (CAPTA), reducing legal ambiguity and allowing states to use federal funds to counter the practice. The bill protects a parent’s ability to place their children with a trusted relative when appropriate but ensures they cannot transfer custody to a stranger without the oversight of the child welfare system. It was based in part on findings from members of the National Working Group on Unregulated Child Transfers (rehoming). Earlier this Congress, Langevin introduced the Protecting Adopted Children Act and the Supporting Adopted Children and Families Act, legislation to prevent rehoming by increasing pre- and post-adoption services, including mental health services, to ensure families never reach a crisis point at which they feel they can no longer care for their adopted child. Firearms dealers that engage in illegal sales practices would face stronger oversight from the Bureau of Alcohol, Tobacco and Firearms (ATF) and stiffer penalties under a bill introduced in the U.S. House of Representatives on Monday. U.S. Reps. Jim Langevin (D-RI), Ted Deutch (D-FL), and Gwen Moore (D-WI) introduced the Keeping Gun Dealers Honest Act on the second anniversary of the Pulse nightclub shooting in Orlando. The lawmakers cited a study by the Brady Campaign to Prevent Gun Violence that found 5 percent of gun dealers supply 90 percent of guns used in crimes in calling for more oversight and stiffer penalties. Under the bill, the ATF would have more authority to conduct inspections to ensure that gun dealers comply with federal law. Gun dealers that falsify gun sale records would face longer prison sentences, and those that fail to comply with ATF regulations could face additional civil sanctions. 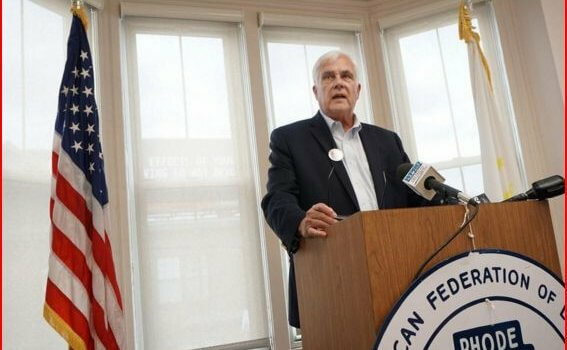 The bill would also give the ATF more discretion when issuing gun licenses. ATF could also force gun dealers that are connected to 10 or more crimes to conduct physical inventories. U.S. Sen. Ed Markey (D-MA) has announced plans to introduce companion legislation in the Senate. A trio of Democratic members of Congress introduced legislation Tuesday aimed at cracking down on “bad actor” gun dealers who provide the overwhelming majority of weapons used in crime. 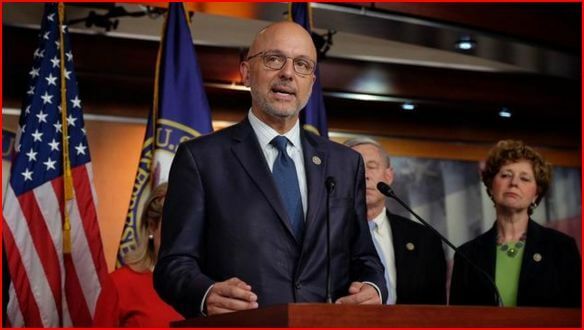 The lawmakers, including U.S. Rep. Ted Deutch, who represents most of Broward and southeast Palm Beach county, introduced the “Keeping Gun Dealers Honest Act” on the two-year anniversary of the Pulse nightclub massacre in Orlando, in which 49 people were killed. Deutch represents Parkland, where 17 people were killed and 17 injured in the Marjory Stoneman Douglas High School massacre in February. The proposal is aimed at gun dealers “engaging in illegal and reckless behavior are punished under the full extent of the law,” U.S. Rep. Gwen Moore, D-Wis., said in a statement. The lawmakers cited a study about so-called bad-actor gun dealers from the Brady Campaign to Prevent Gun Violence. It found 5 percent of gun dealers supply 90 percent of guns used in crime. Prospects for the Democratic-sponsored legislation in the Republican-controlled Congress are poor. Public opinion shows large percentages of Americans favor some restrictions on guns, but the congressional leadership doesn’t permit action on those measures. — Authorize increased Bureau of Alcohol, Tobacco, Firearms and Explosives inspections of gun dealers. — Strengthen penalties for falsifying gun sales records, including longer prison sentences. — Add new civil sanctions for gun dealers who violate ATF regulations. — Give ATF discretion in issuing gun licenses. — Allow ATF to require dealers to conduct physical inventories if more than 10 guns used in crimes are traced back to them. The proposal is also sponsored by U.S. Rep. Jim Langevin, D-Rhode Island. U.S. Sen. Ed Markey, D-Mass., plans to introduce a Senate version of the bill.